Good for Eyes : Combination of avocado and banana can improve the health of eyes. Healthy Fat : Presence of monounsaturated fats helps to keep your skin, hair and nails fresh and soft. Good for Digestion : Quicker absorption of nutrients helps in improving the process of digestion. Softening of Skin : Presence of vitamin E in avocado helps to keep your skin fresh and soft. 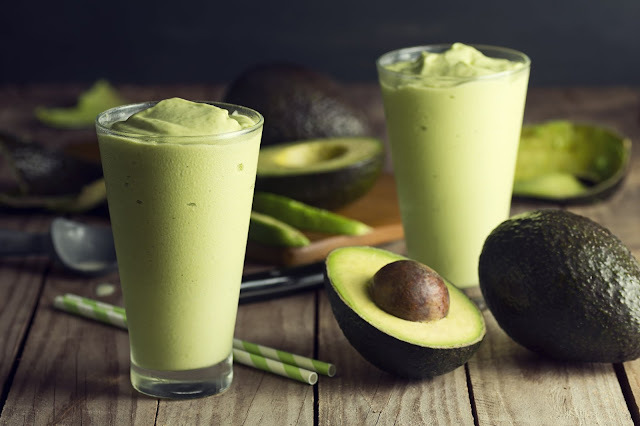 Reduce Weight : Having an avocado banana smoothie at morning will get you feel fresh and lively for about many hours, so that you won’t feel hungry! If you want to learn how to make delicious and highly nutritious avocado banana smoothies, you are at the right place. First we will start of with the major ingredients required to make this smoothie. The below mentioned ingredients are necessary to make a simple and delicious smoothie. But ingredients are bound to change if you want specific flavors or taste for the smoothie. It depends solely on the needs or taste of an individual. If you have all these above mentioned ingredients, we are all set to prepare a delicious avocado banana smoothie. Once you get used to the methods of preparing, it will not take much time. What makes this smoothie so special is its buttery taste. Because of avocado’s creamy nature we will get this taste even without adding any kind of additives or artificial flavors. It is incredibly simple and easy to make this smoothie. Step 1 : Take 1 – 2 ripe avocado, slice it into cubes and place them inside a juice mixer . Step 2 : Take the frozen bananas and peel off the skin. Place them inside the juice mixer. Step 3 : Add 2 tablespoon of oats, for a tastier smoothie. It is optional, hence it depends upon your taste. Step 4 : Now add some honey, milk and slices of apple. Step 5 : Mix everything and continue the process for about 3 – 5 minutes. Now the smoothie is all set and ready to serve and share this healthy drink with your dear ones. Just a simple avocado banana smoothie itself has numerous health benefits and you can always increase them by adding nutrient rich fruits or additives along with the smoothie. Avocado is considered as one of the best super-food available, not for one reason but many! It is incredibly high on good monounsaturated fats, minerals and vitamins. The rich and creamy nature of avocado fruit provides a delicious taste. Best thing is that, it tastes good to eat alone and also on combination with other food stuffs.